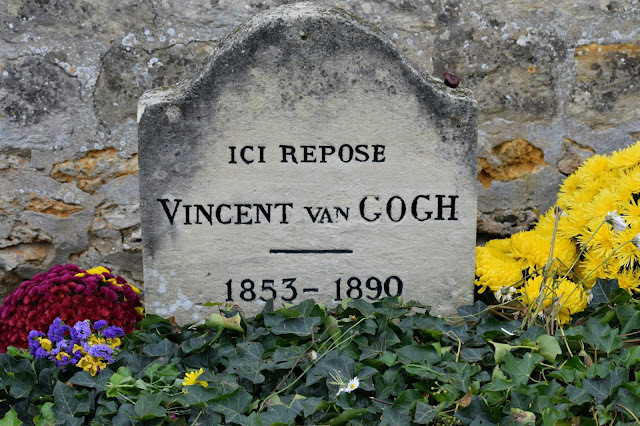 Auvers-sur-Oise in Picardy, Northern France, needs little introduction as the last place that Vincent van Gogh lived and painted during the last seventy days of his life, in 1890. Located northwest of Paris; a mere 30 minute train ride to this quaint, picturesque artists’ village. It is here - that if only for a brief moment, one can glimpse what stirred Vincent van Gogh’s artistic vision and inspiration. On a beautiful crisp autumn day, we traveled to this cherished place, so famed and admired by visitors, artists and travelers from around the world. This storybook hamlet sits along the banks of the Oise River, where charming buildings look much the same as when Vincent van Gogh lived there, more than 125 years ago now. We arrived when the leaves were turning from yellow to golden-brown, with the warm and glistened sunshine peeking through the tree branches. Auvers-sur-Oise was oddly quiet, most tourists and summer retreat artists had gone home. We walked around this tiny village on foot - exploring and following the bronze “Vincent” plaques inlaid in the sidewalk and along the narrow road. Leading us past Van Gogh’s treasured and prized landscapes, where he created a prolific number of paintings. 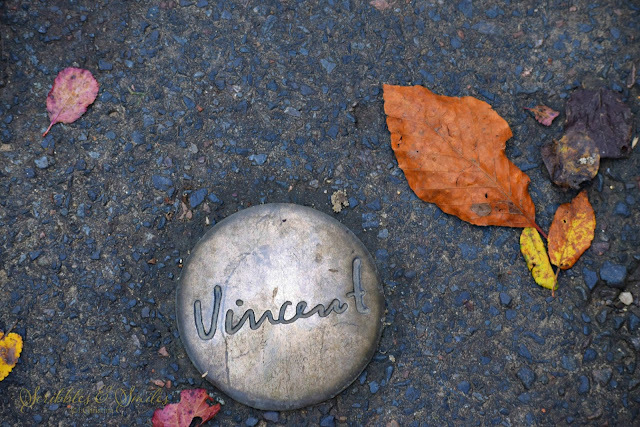 Walk in Vincent van Gogh's last footsteps here.